DSS manufactures and distributes a wide variety of scaffolding and accessories to accommodate any access needs your project requires – anywhere in the world. 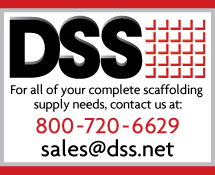 DSS’ scaffold products can be found in almost every application, including commercial, industrial, petrochemical, power, mining, and more. In addition to our existing inventory lines listed, DSS has stringent manufacturing controls, processes, and checkpoints in place to produce proprietary, private labelled, or custom products specific to your individual needs. 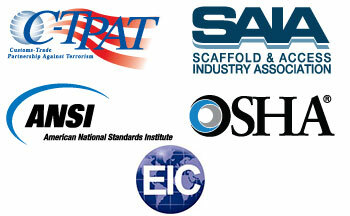 All our products are tested to and meet or exceed ANSI standards. Please contact our sales team for more information.